Swedish tourist Christoffer Persson lost his leg after being shot in downtown Buenos Aires. Police in Avellaneda, a city adjacent to Buenos Aires, on Saturday arrested a man suspected of shooting a Sweden tourist whose leg was subsequently amputated..
Buenos Aires City Police carried out several raids in the Isla Maciel area of Avellaneda. The suspect is a 22-year-old man. Another, Rodrigo Peláez, was arrested on Thursday for allegedly driving the escape car. Tourist Christoffer Persson lost his leg after being shot in downtown Buenos Aires the previous weekend. The 36-year-old was standing at the corner of Tacuarí and Venezuela streets in Monserrat (only a couple of blocks away from Casa Sueca housing the Swedish Club, various Swedish companies and, until very recently, the Swedish Embassy, now in Puerto Madero) when he pulled out his smartphone to consult Google Maps and find his bearings. The phone drew the attention of a criminal cruising past in a car, Persson told the TN news channel in an interview. "When I saw him, I saw him pointing his gun at my head. I moved it (my head) and then he shot my leg", he said. "Many people came to help me in the streets before the ambulance arrived. A woman named Analía put pressure on my leg with a towel. She saved my life". Persson's leg was amputated at the Argerich Hospital. "I am taking this as a challenge. It's not fun but of course it happened to me and I must take it as a challenge to overcome, and I plan to overcome it," he added. 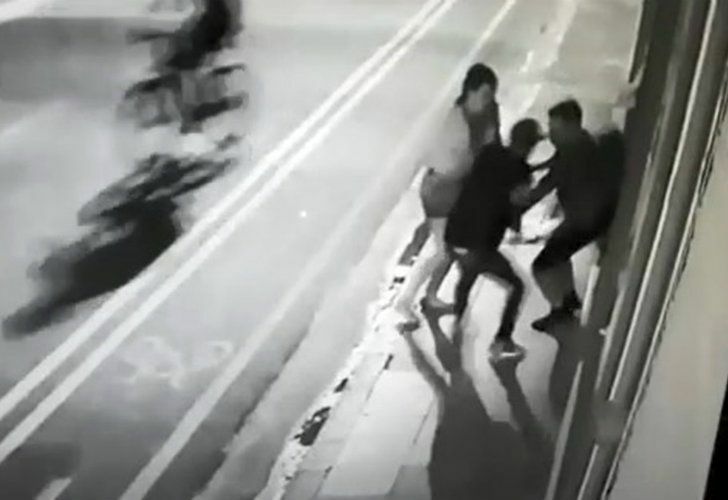 Police traced Peláez, the alleged driver of the escape car, because the vehicle registration number of the Peugeot 207 was seen in security camera footage of the attack.